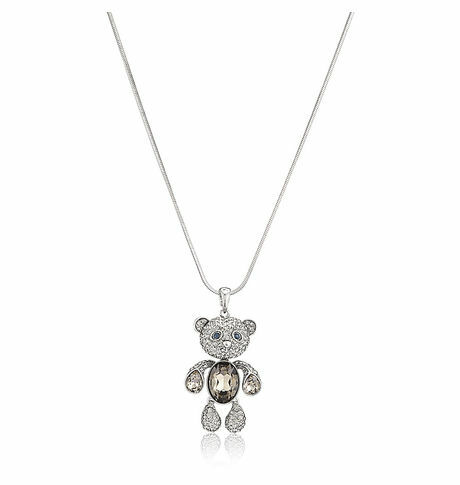 Chic and stylish, the silver teddy pendant embellished with clear and colored cubic zirconia stones gives you a subtle look. Attached to a chain, the trendy pendant will dazzle up your attire whenever you wear them. Chic and stylish, the silver teddy pendant embellished with clear and colored cubic zirconia stones gives you a subtle look. Attached to a chain, the trendy pendant will dazzle up your attire whenever you wear them.Cancellation and Return Policy: • Exchange allowed post booking • No order cancellation or Refund transaction allowed at the store.